On Saturday 31st March Texas Joe's is turning Japanese for the day with their Kaubōi Ramen specials, served with Texas Joe's fine BBQ meats. It's 12 noon til 9pm only at their restaurant in Snowsfields, near to London Bridge, and no booking for this one. Go early to make sure you get in - this one sounds pretty special! "Eat like a Kaubōi! 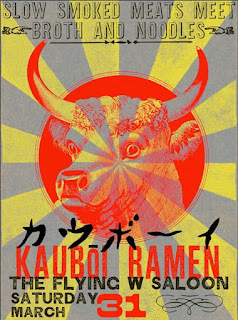 カウボーイラーメン Kaubōi Ramen has arrived and will be served up for slurpin' in The Flying W Saloon, Saturday 31st March... We have created delicious umami broths crowned with Texas Joe's fine barbecue meats for a Texan-twist on Japan's favourite noodle dish. 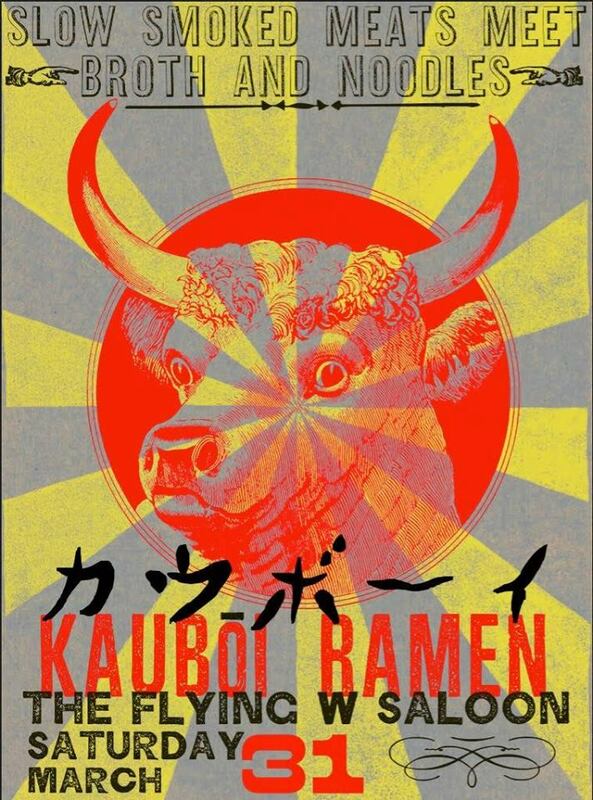 Come and join us in the bar of our London Bridge restaurant for the first KAUBOI RAMEN PARTY! No booking for this I'm afraid."